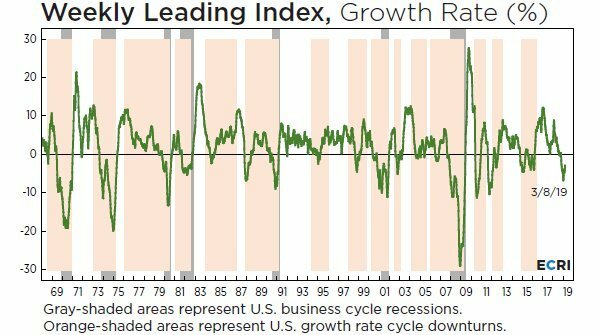 For anyone reading my commentaries, you’ll know I’ve been warning about slowing growth and the increasing probability of a recession. Over the last month I’ve written about some recessionary signals here and here. 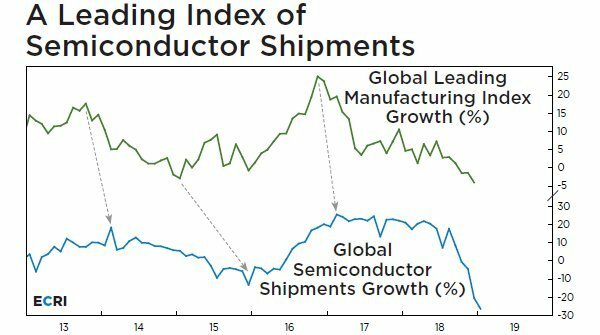 In the first of those commentaries, I mentioned one signal still providing the “all clear” was the U.S. Purchasing Managers Index (i.e. PMI – measures health of manufacturing), which was still reflecting expansion as of February. However, we’re seeing PMIs around the world more broadly deteriorate and even contract in China. Global PMI has fallen to an almost 3-year low. These are signs of slowing growth. Keep in mind, this is all occurring even as the U.S. stock market is back to its most extreme valuations in history thanks to this powerful rally of the last three months. Robust returns have been pulled forward from the future and now lie in our past. Returns for U.S. stocks over the next decade are likely to be low. These low returns are more likely to be caused by a sharp decline (50% or more) rather than low annual returns for each of the next ten years. 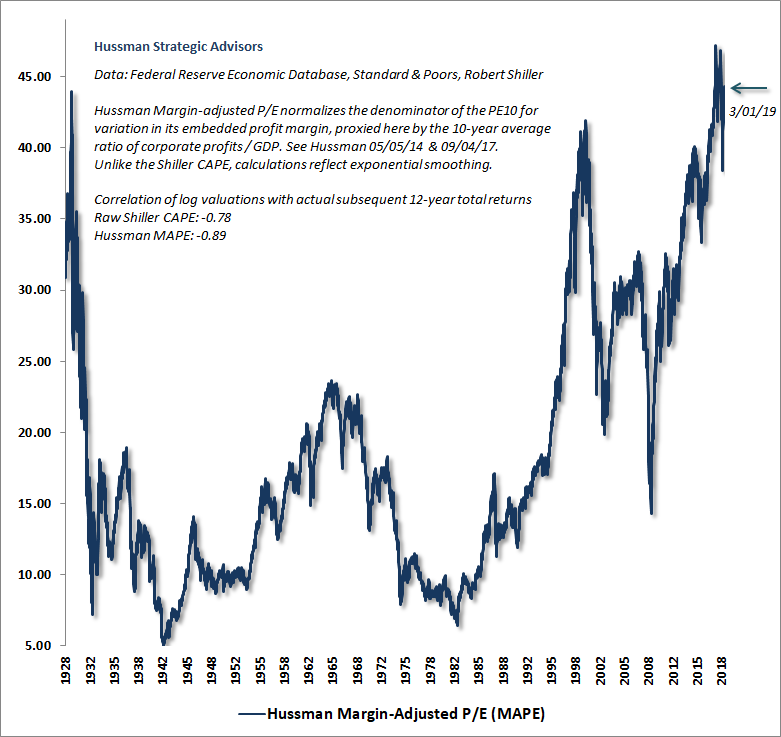 The silver lining is that a sharp decline creates opportunity for disciplined and patient investors! U.S. Treasuries may outperform U.S. stocks over the next decade. Performance of other “risk” assets may be dragged down as well. 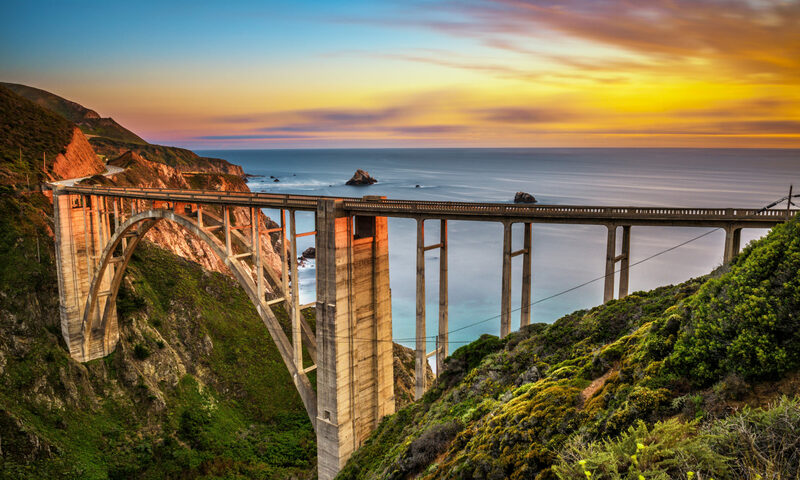 At some point, the Federal Reserve will likely intervene to an even greater degree than ever before creating its own unique opportunities for investors and advisors who understand history. 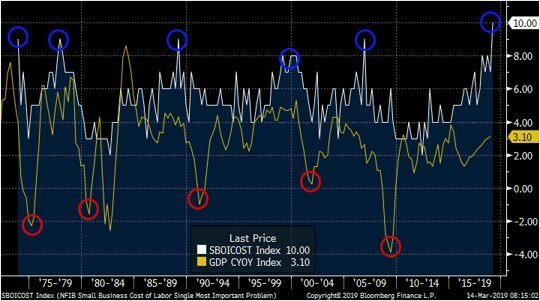 NFIB’s “cost of labor” index hit a record high last month, This index has historically been a strong predictor of recessions. 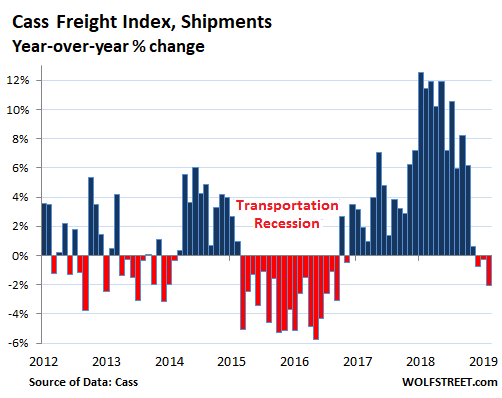 The Cass Freight Index, which measures freight shipment volume across all modes of transportation, has now posted three consecutive months of year-over-year declines. There are more, but, for sake of brevity, I’ll leave you with the Atlanta Fed’s Q1 GDP forecast, which they have estimated at an anemic 0.4% annualized pace for this first quarter. Data herein from third parties is believed to be reliable but accuracy is not guaranteed. This is not intended as investment advice but general education.